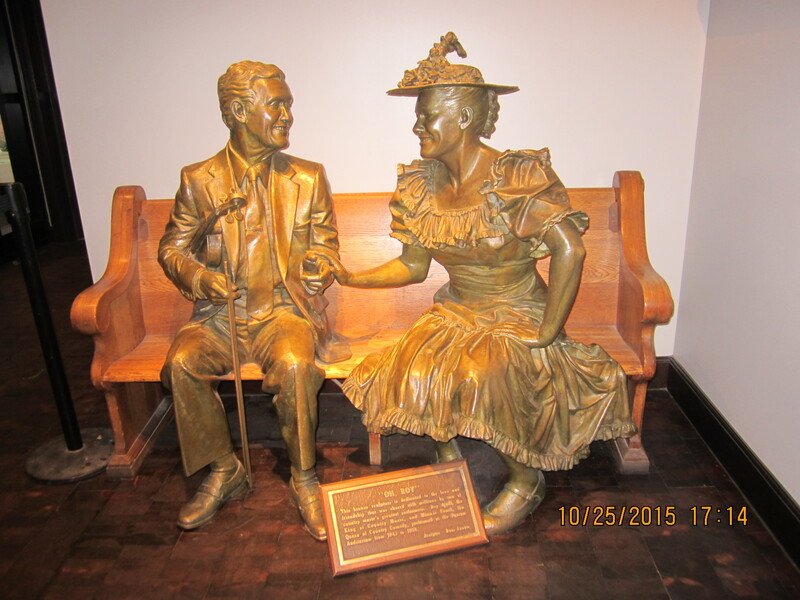 A woman of foreign birth came up to me while I was waiting for the tour bus in Nashville Tennessee. My friends and I were on our long awaited girls’ weekend satisfying two of the cities on our bucket list. I was surprised that she didn’t understand what I meant when I explained to her that my friends and I were enjoying a girls’ weekend trip. She wanted to know where on the internet she could find information about the girls’ weekend and then added if it was available in her hometown she would like to attend. After I chuckled to myself, I realized how very sweet her sentiment was. What truly resonated with me was that we all want to have a sense of belonging; we want to be part of something greater than ourselves. It really doesn’t matter whether it is a church, a group of friends, or any particular organization, we just want to belong. This woman was a researcher, and she was in Nashville on business. This diminutive woman was certainly accomplished, educated and respected yet I felt an undercurrent of loneliness as she continued to engage me in polite conversation. Nashville is a vibrant, fast moving southern city filled with guitar strumming cowboy boot wearing hopefuls of all shapes and sizes. Almost everyone we met in the service industry seemed to be transplants from the windy city. I guess the 471 miles south proves to be the gateway to dreams, hopes and aspirations. 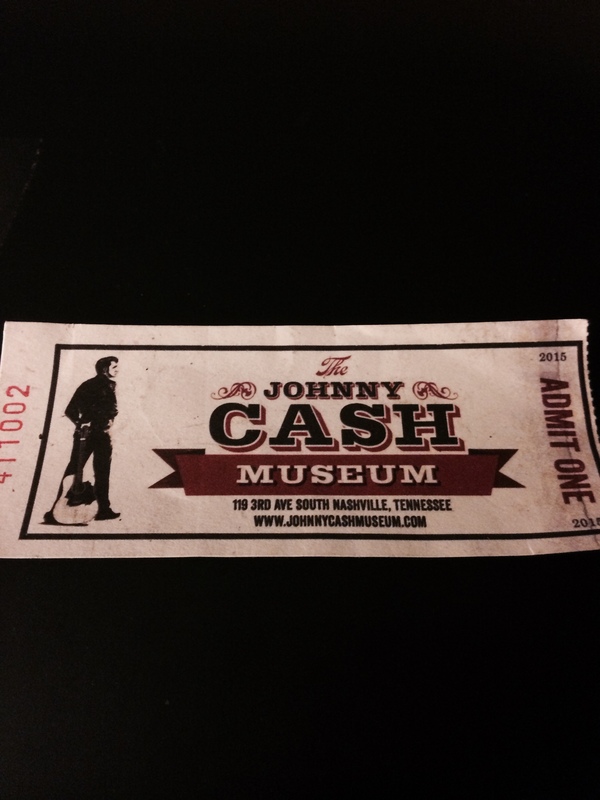 The bars, restaurants, night spots, Ryman Auditorium and the Grand Ole Opry are all musts to see. “Buy one get two free” cowboy boot shops make for interesting shopping, although purchasing the one pair of boots only makes good fiscal sense if you are interested in buying the other two. The Ryman Auditorium should head the top of your weekend to do list. The sense of history is palpable. The grand staircase, the pew benches, and the stained glass windows were ethereal. The spirits of Minnie Pearl, Roy Acuff, Conway Twitty, Louis Armstrong, and Patsy Cline were ever present. 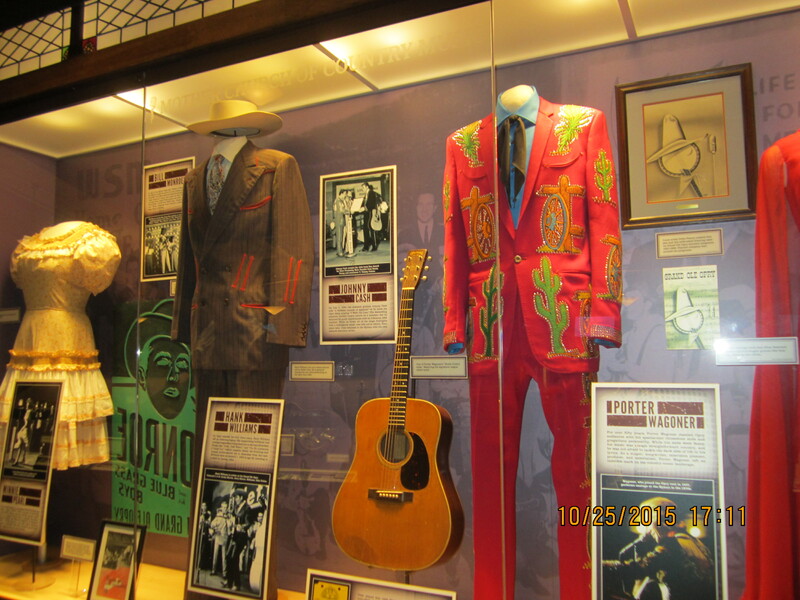 The stage costumes hanging in the curio cabinet like cases were a throwback to a time and era that thrust Nashville into the national spotlight for the first time in 1920 when Mrs. LC Naff became the full-time manager of the Ryman Auditorium with a flair for booking acts as diverse as WC Fields, Will Rogers, Charlie Chaplin, Louis Armstrong, Harry Houdini, Bob Hope, the Fisk Jubilee Singers, Charlie Pride, Loretta Lynn and Dolly Parton to name a few. When the Grand Ole Opry moved to the Ryman in 1943, it was a union made in heaven. 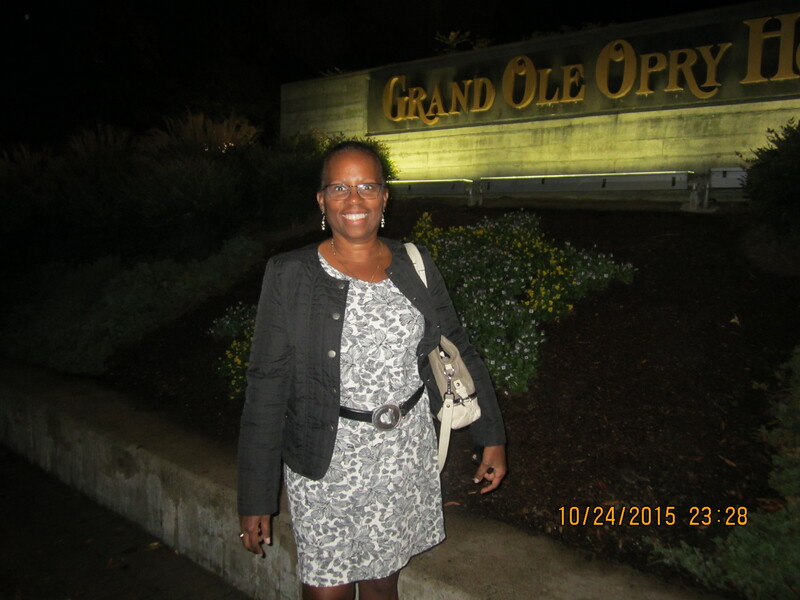 When we visited the current home of the Grand Ole Opry, a few miles away from the Ryman it was the Ryman Auditorium that we had in mind. The Ryman Auditorium still hosts the Grand Ole Opry during the off season’s winter months and Opry Country Classics each spring and autumn. A tour of the Ryman should be on every visitor’s to do list. 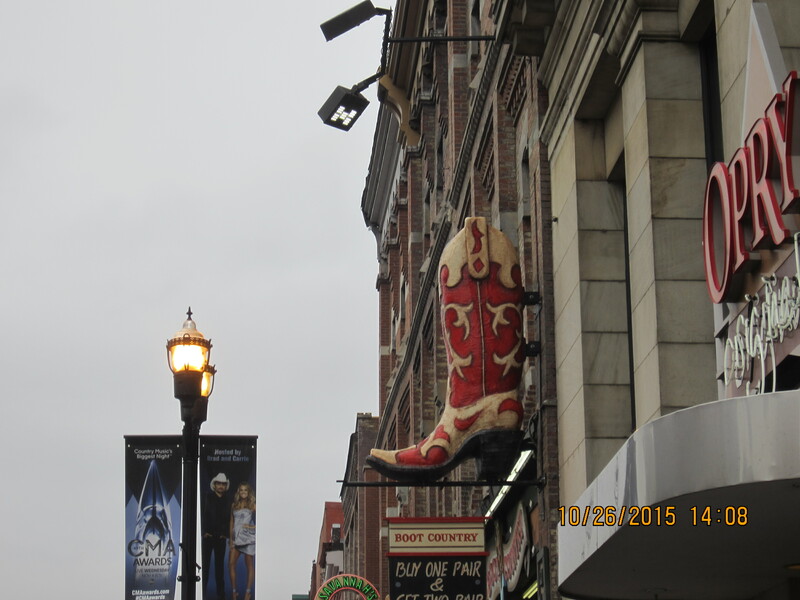 Taking a city tour of Nashville provides a broad brush kaleidoscopic view of the wonders of Nashville. 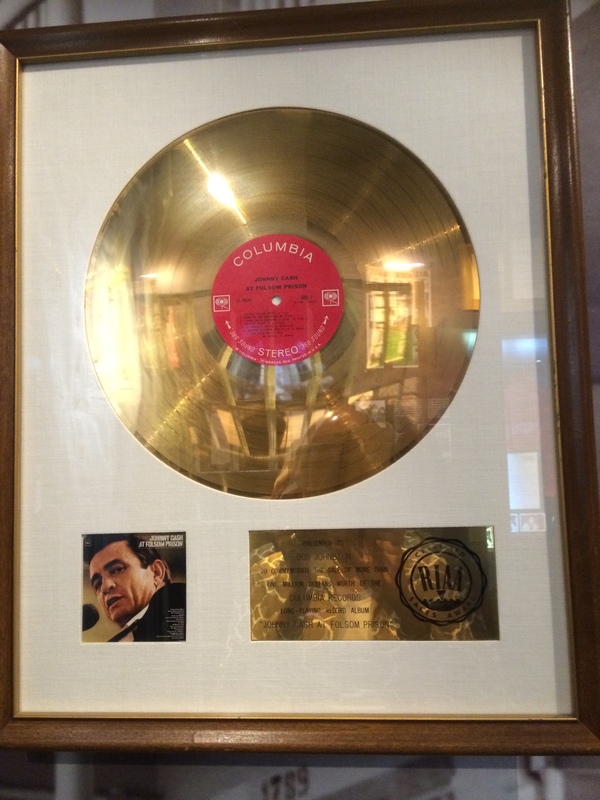 You’ll truly understand why Nashville is called the Music City as evidenced by the number of recording studios and record labels anchored to this great city. 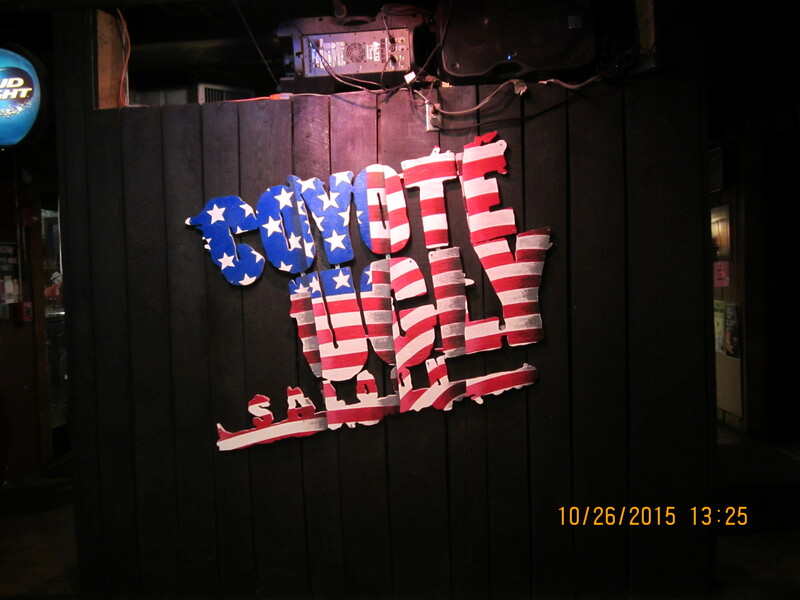 The country music scene is ever present by the number of bars oozing with talented musicians playing for tips garnered by enthusiastic patrons all in the hope of getting that one big break. 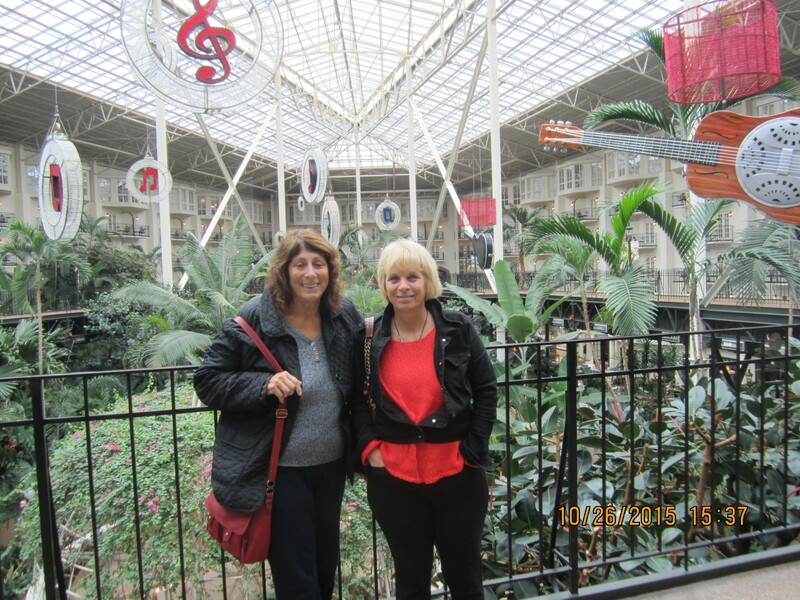 The Parthenon, Gaylord Opryland Resort and Convention Center, and Centennial Park are just some of the sights we enjoyed; after all we were only here for the weekend. A quick side trip to Franklin Tennessee was fantastic. I half expected to see Andy of Mayberry round the corner and I mean that in the most affectionate way. The karma of Franklin was welcoming, embracing, and friendly. 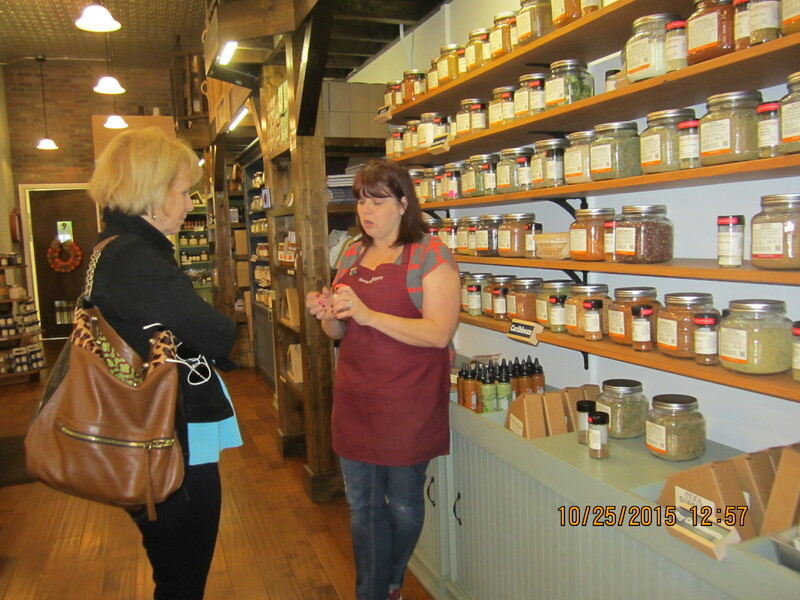 We stumbled upon a wonderful store, Savory Spice Shop, whose owner and operator, Hollie Rollins, could not have been nicer, more helpful or engaged. We came away with exotic spices, pumpkin biscuit mix, super-hot Bajan Hot Pepper Sauce, and a plethora of off the beaten track recipes and delectable galore. The girls’ weekend surpassed all of our expectations as it always does. The city is almost incidental as all cities have wonderful attributes, their own individuality and charisma. What makes the girls’ weekend truly special are the “girls” you surround yourself with. Positive energy, a “can do” attitude, a sense of humor and adventure and more importantly a commitment to having a good time is all that you need to pull this off. Although we haven’t yet decided the next place our bucket list trip will take us, I can’t wait until next year. My only question is – Did you golf? That would have just made it the ideal weekend with everything else you did.